CAPE CANAVERAL (GaeaTimes.com)- NASA officials would now have to repair two new cracks which were found in the external fuel tank of the space shuttle Discovery on Wednesday. Technicians discovered the 9-inch long cracks in the external stringers of the tank while they were removing the external fuel tank foam insulation. It still remains unclear whether the new cracks that have been found would in any away hinder the launch of the space shuttle which is scheduled to take place on November 30. A statement that was released by NASA read that the two cracks were found in the stringers of the tank which are composite aluminum ribs situated in the vertical direction of the inter-tank area. According to NASA officials, the cracks are now being reviewed by the technicians to comprehend the proper way by which they can be repaired although it has been reiterated that similar kind of cracks have been repaired by NASA in the past. However, as of now, any announcement about whether a repair schedule would be followed, has not been made. NASA officials have made it clear that the pace of the repair work would decide when the space shuttle is ultimately launched and it makes its way for the International Space Station to provide it with logistics. 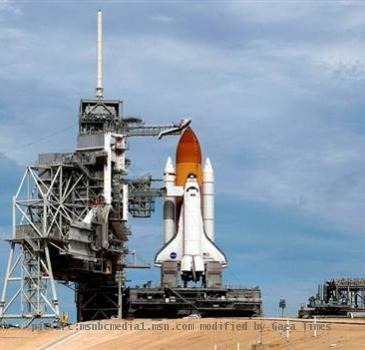 Over the last few weeks, plans to launch the space shuttle Discovery has been terminated by NASA on multiple occasions due to adverse weather conditions, electrical glitches as well as gas leaks. Following its launch, the space shuttle would provide pressured logistics module to the International Space Station which would enable it to have more storage space.